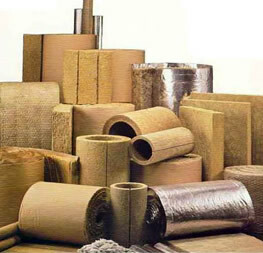 Total Insulation stocks M.G. Products brand Rockwool for use in a variety of applications requiring rockwool insulation. This rockwool is created by fusing together several types of minerals at high temperature and dispersing them into inorganic fibre by a centrifugal spinning process. Rockwool insulation products are made from stone mineral wool and have an extremely fine fibre diameter which is processed by a pendulum system. Their products offer a unique 4-in-1 combination; thermal performance, built-in fire protection, acoustic benefits, durability and sustainability. Rockwool insulation products are the economical and practical choice. Their products are produced from a renewable naturally-occurring volcanic rock, saving costs in fuel and energy use. Their products are made from stone wool, a solid rock, to provide stability and durability over the lifetime of a building. The durability of its physical structure means it will keep its dimensions, despite any changes in temperature and humidity. Rockwool’s durable products won’t cause or promote corrosion. Tiny pockets of air in the structure of the stone wool are what enable superior thermal properties in the Rockwool products. The stone wool insulation offers thermal performance all year round, keeping the temperature of the building warm in winter, and cool in summer. Rockwool stone wool products offer a natural sound barrier from their highly efficient acoustic insulators. Their products protect against noise pollution, to reduce external noise from the surrounding area along with internal noise between rooms. Stone wool is a non-combustible material enabling Rockwool to provide superior fire resistance. The stone wool in Rockwool products form a natural fire wall around a building, as well as being incapable of generating toxic smoke or airborne particles, if a fire was to occur. For the specifications of the range available in Rockwool insulation, click on the links to the right. For further information on using us as your Rockwool supplier or to arrange a quote for your projects, simply Contact Us.